Due to the unprecedented success of previous trips to the desert of the Holy City – that is, Judea – and its pearl the monastery of Mar Saba and the mount Azazel, I again declare the draft of the brave and courageous, who are willing to overcome themselves and the 20 km of the desert. 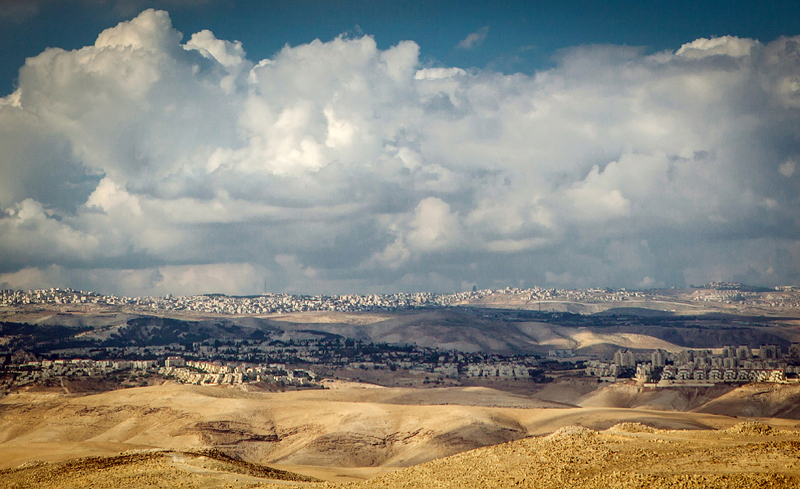 While the forecasts are magical and the Mar Saba is embraced by cumulus clouds, it is not too hot, not too cold, and all the hermits of the world recommend the 20-kilometer trek. 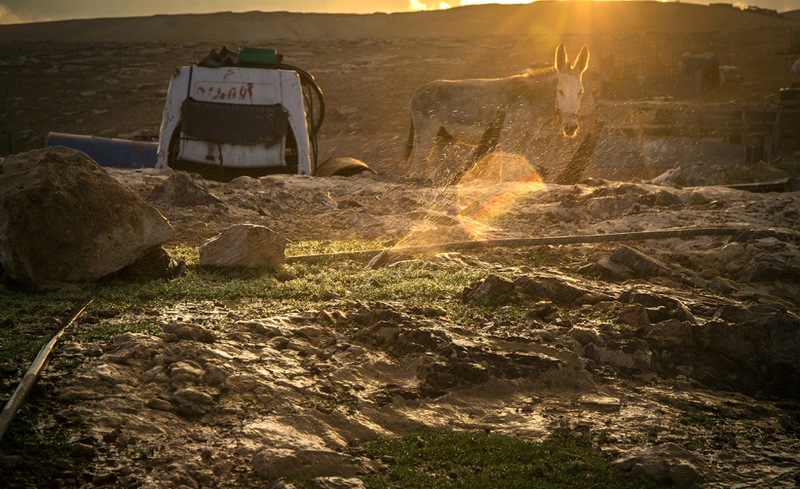 So I invite everyone to join one of the most incredible and memorable journey through the most beautiful desert in Israel, and visit places that you definitely will tell about to your children and grandchildren! I guess I’ll never stop to admire its beauty and grandeur, which is not able to be shown by any picture of the world. However, enough praises. 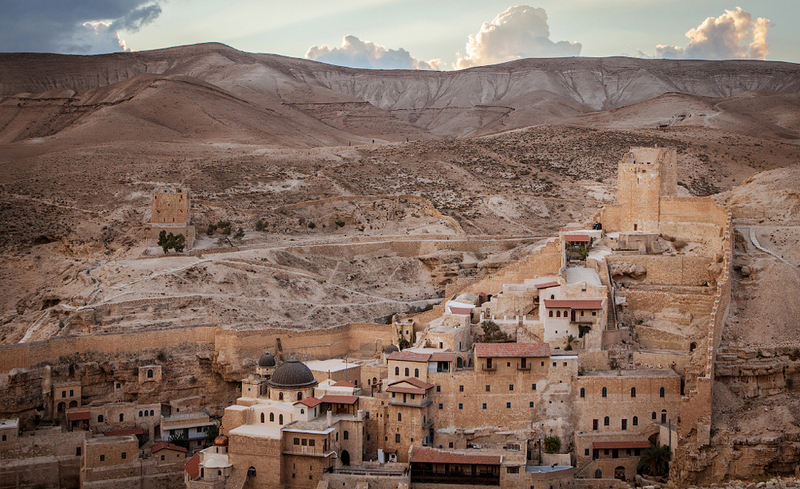 The Mar Saba, being as I have said, the most beautiful monastery, continues to lead the ranking of the trash institutions in Israel. Only here, in the middle of the Judean desert, on the slope of Kidron, you can hear chilling stories about the secret life of the monks, miracles, extraordinary events, and listen to some modern music CDs. 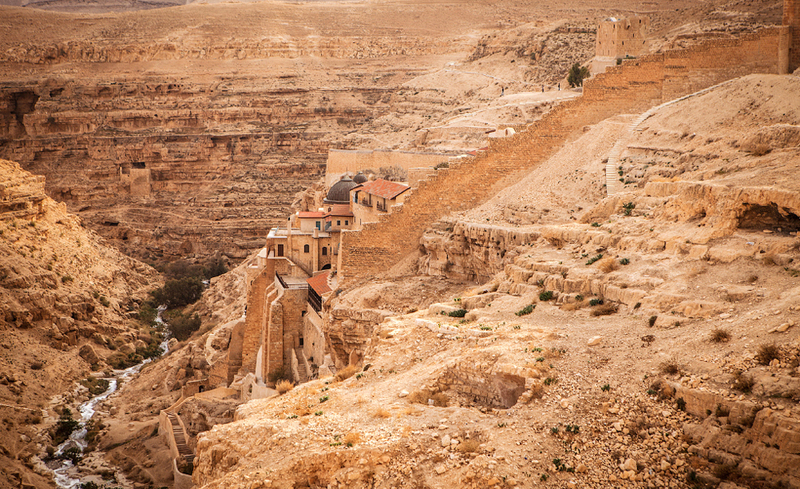 Mar Saba is not just some hick monastery, which has about a dozen of some renegade monks. 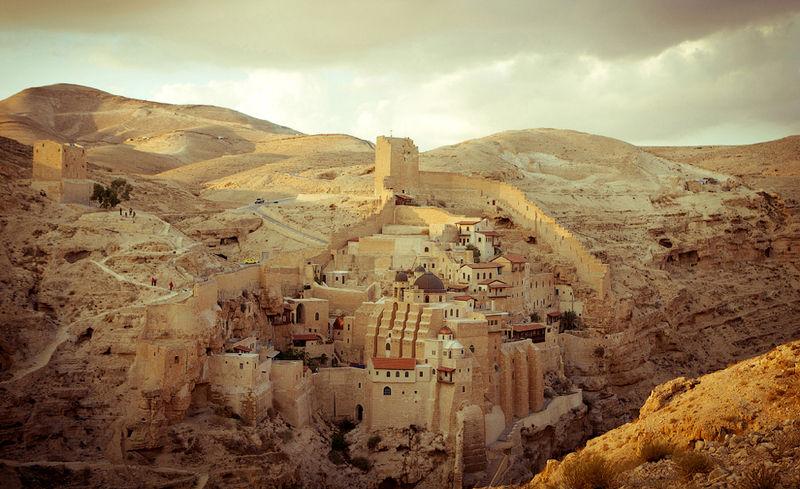 Mar Saba is the ideology, the last bastion of faith, style, prestige and a long waiting list for perspective residents. For centuries, the monks managed to preserve not only the ascetic way of life, but also the special status of the monastery. 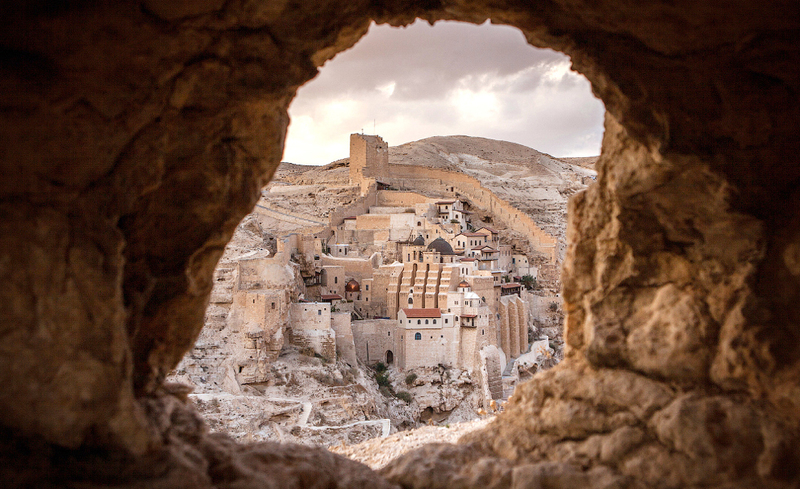 This is due, in part, to difficulties in access to its gates, which makes Mar Saba almost the only truly reclusive monastery of Israel, and secondly, with the careful selection of the “guests”. 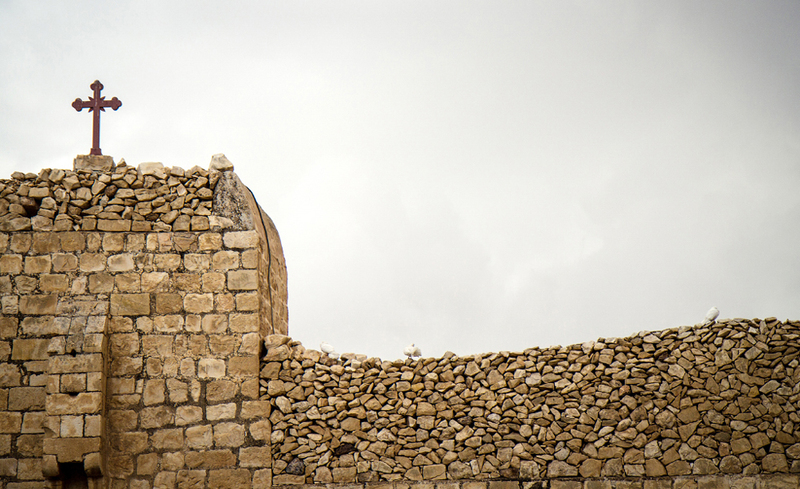 Sometimes church leaders spend years waiting for permission to enter the walls of the monastery and consider the receipt of one for the great honor and trust of the Patriarchate. And this is what the monks of the monastery write about the life of Sava: “The meeting with the angels for St. Sava was apparently an usual phenomenon for him” Indeed, for a long life as a monk in the Holy Land, Sava managed to come across not only the angels, but also with talking donkeys, tempting apples and the magic date palms. 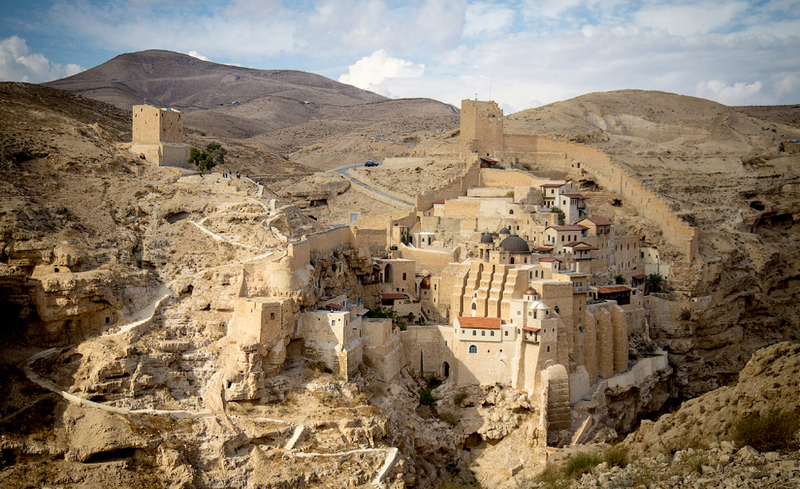 We will walk along the spectacular route through the Judean wilderness to the Mar Saba monastery, and then prove the triumph of spirit over matter by climbing the highest mountain in the Judean Desert – a damned Mount Azazel. Once a distant relative, looking at my picture on the background of the monastery asked, “Hey, what is this city behind you?” and was quite right because Mar Saba is not just the monastery, not just a collection of churches and monks, but a real mini-city, with its own laws, mayors, quarters for the poor and for the rich, the tourist area, a business center and industrial area. 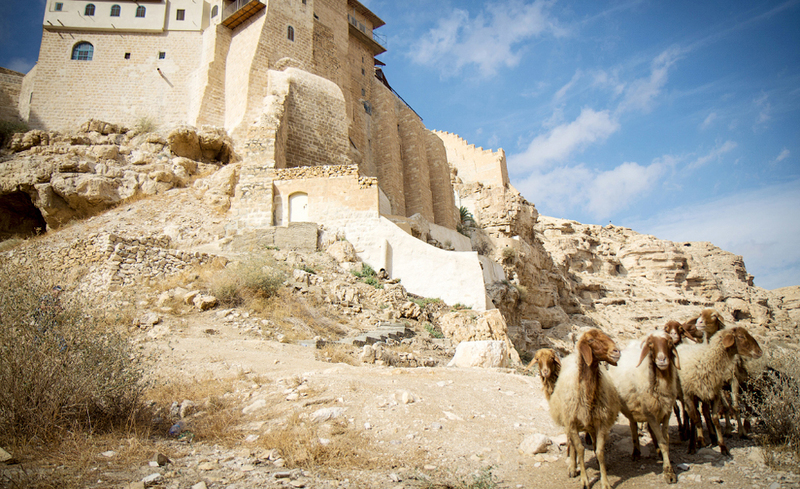 We will see the monastery exactly like this – seething and boiling, despite its more than 1,500-year history. After visiting the monastery and communicating with its inhabitants, we will head to the mountain Muntar, the highest point of the Judean desert. According to the Jewish tradition, from its top at the Temple times the so-called “scapegoat” was thrown down, which, in the allegorical interpretation, was to show the redemption of the people and its purification on Yom Kippur. At sunset, we will complete the track and get back to our cars. Entrance to the monastery for women is strictly forbidden, only men are allowed in. 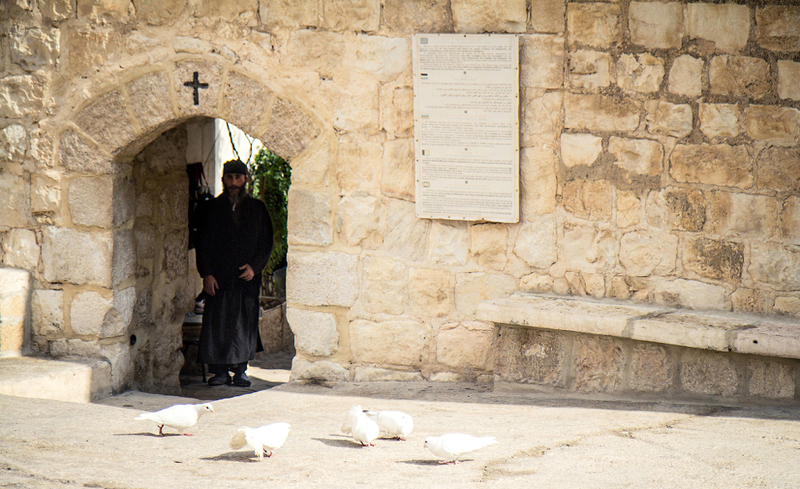 Women waiting outside will have fun conversations with the monks, listen to the Mar-Saba CDs, read the local self-published literature, climb to cells, inspect the monastery from the top, bottom, side, wherever. In short, women will not feel deprived. Meeting point: Kedar South settlement. Yes, it is safe for your cars. Water: at least 6 liters per person. Required! Sunscreen and a hat. Required.